Hamburg won the battle, but lost the war: the Bundesliga ever-presents' 55-season stay in the top flight is over, the clock has stopped and the Dino will be playing in the second tier next season. Despite a 2-1 win against Borussia Mönchengladbach on the final day, results elsewhere condemned Christian Titz's side to the drop. bundesliga.com recalls the high and lows from a memorable top-flight stay. Founded in June 1919, three-time national champions Hamburg were one of 16 teams invited to compete in the Bundesliga's inaugural campaign in 1963/64. HSV had won the first of their three DFB Cups a season earlier, adding a second in 1975/76 - the same year they finished runners-up in the Bundesliga. It was the dawning of a golden era. Two years after defeating defending champions Anderlecht to claim the 1976/77 European Cup Winners' Cup, Hamburg captured the Bundesliga title for the first time. Their reward was a place in the 1979/80 European Cup, where they powered their way to the final. Nottingham Forest won that particular battle, but HSV would soon seize the continental throne. 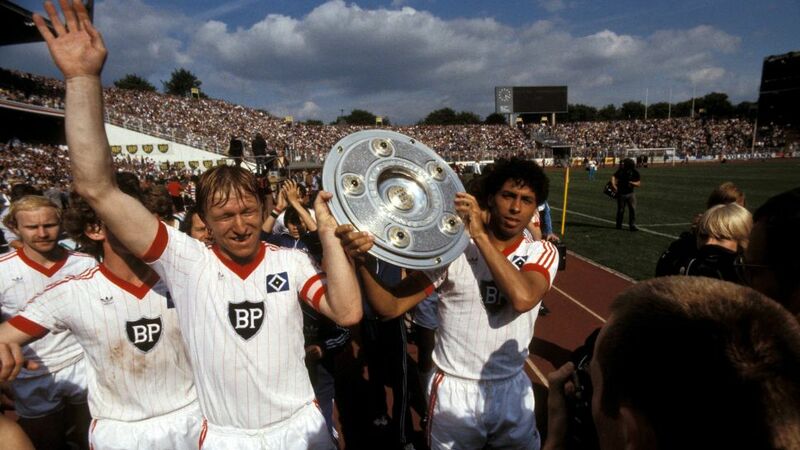 Deposing Bayern Munich to win their second Bundesliga crown in 1982, Hamburg went one better the following campaign. The Red Shorts had already held off fierce northern rivals Werder Bremen to take the league title on goal difference, when they made it a Bundesliga and European Cup double with victory over Italian giants Juventus in Athens. To this day, HSV have never had it so good.